Over the last few years ABBA GOLD have appeared on Television and Radio many times. These appearences include a live performance on "Richard and Judy" for Channel 4. "This Week" just before Christmas for the BBC, "How To Get Your Dream Job" also for the BBC. The radio performances include a live 1 hour show for BBC Radio Solent and the Chris Evans show on Radio 2. 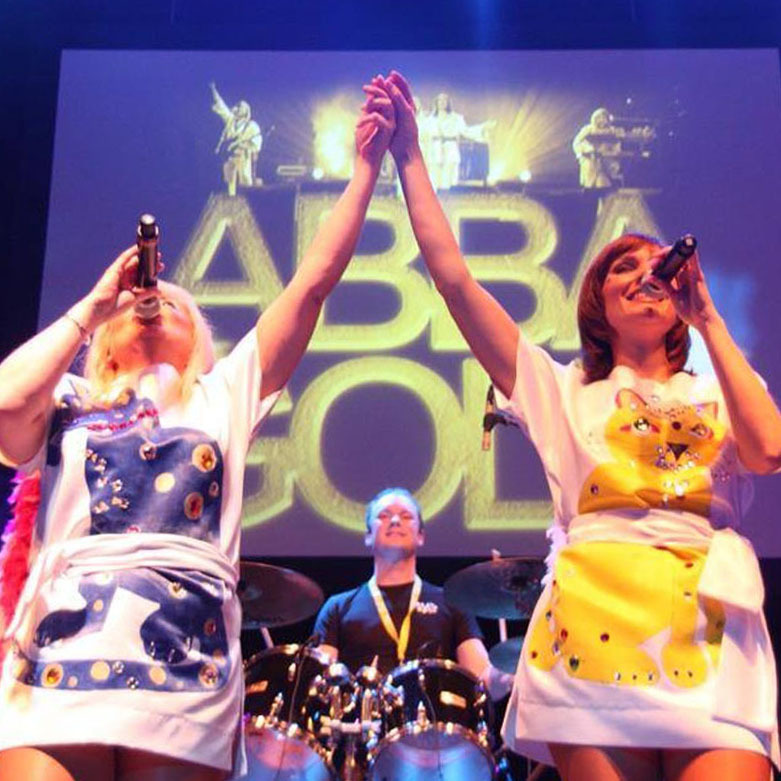 ABBA GOLD have also played at many prestigious venues for very important clients. The venues include the Wembley Stadium, Edinburgh Playhouse, The Fairfield Halls Croydon, and The Olympic Stadium in Moscow, Russia. One of ABBA GOLD's favourite events was playing at the "Mamma Mia" premier in Antwerp and Brussels in Belgium. ABBA GOLD were very lucky to be invited as guest cabaret on the Crystal Symphony and the Brilliance of the Seas with the Royal Caribbean Cruise liners. ABBA GOLD have also performed for Richard Branson and Virgin.